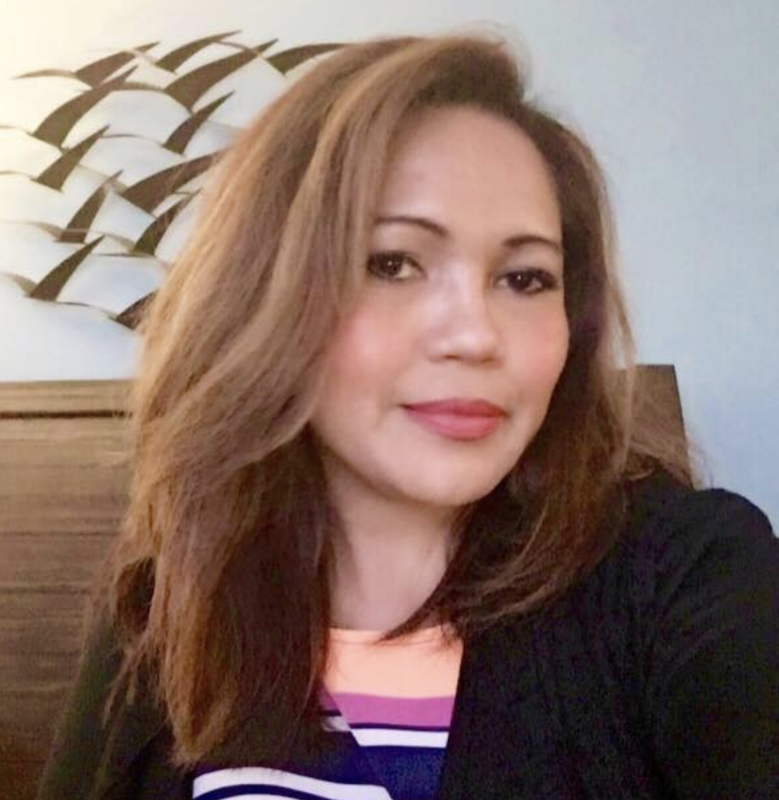 Many people are finding the benefits of simplicity. 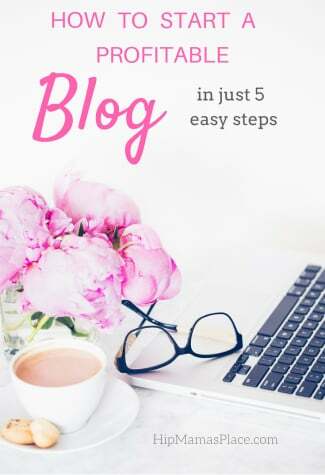 There are books on being okay with less and of course blogs which help you simplify your life. The in-between, of course, works well for many people. We can take pride in making things at home. We then know exactly which ingredients are being used, while still taking advantage of also realizing that it is okay to have “stuff” too. 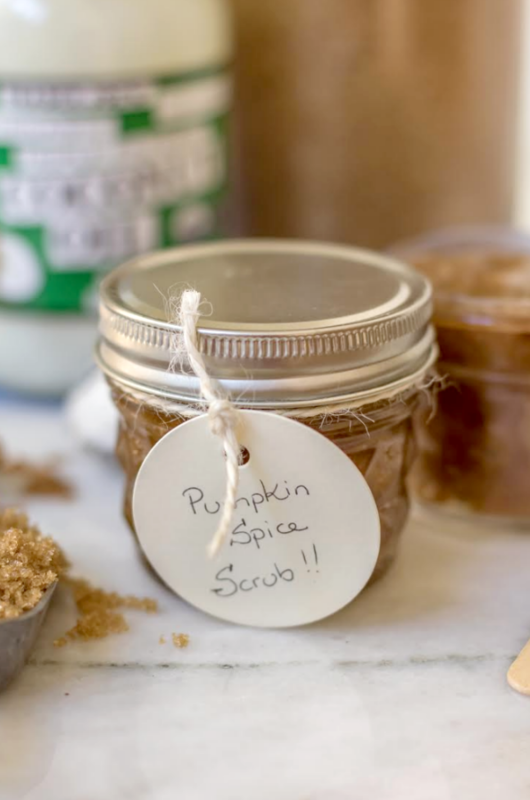 This Pumpkin Spice Sugar Scrub is a new item I’ve started making at home. It’s yummy on my skin, and it also makes a great gift! So… before I go on, let’s take a minute to talk about the main ingredients in these ‘naturally wonderful for your skin’ body scrub! 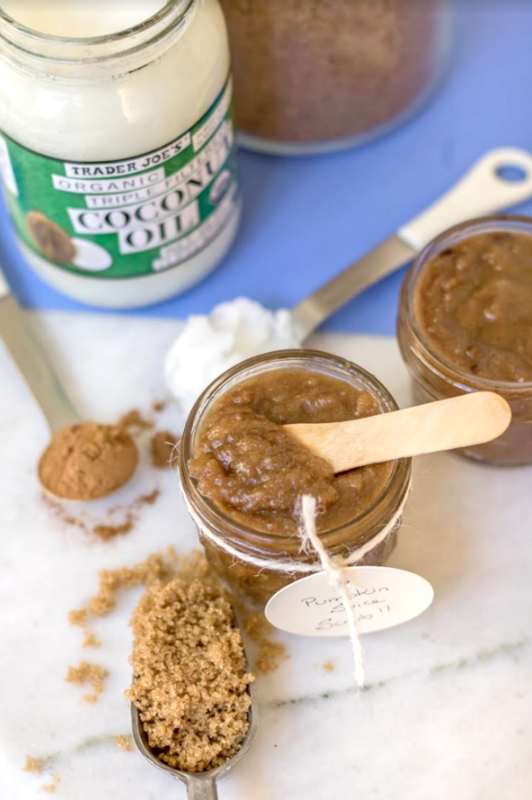 Coconut oil is used in many cultures as a natural moisturizer. Its benefits include being a natural antibacterial and anti-fungal agent. So using it on your skin is great! Plus, it is an excellent moisturizer that can better penetrate hair as well. Not required, but choosing an organic, unrefined oil may be best as it has many additional benefits. Look for cold-pressed oil, or raw, which means it hasn’t been overheated (though coconut oil can withstand higher heats than many oils.). This helps to keep the naturally occurring phytonutrients and polyphenols. The pumpkin spice makes it smell great while keeping you full of the warmth we find in our favorite comfort foods this time of year. Without having to eat it of course! While everything in this scrub is edible, I don’t recommend eating it. 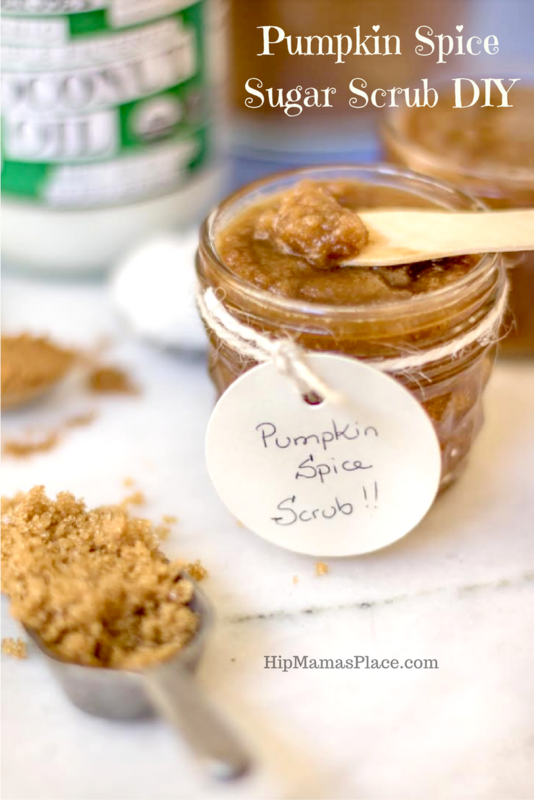 The brown sugar is used in this pumpkin spice scrub because it can work as a great exfoliant. removes excess sebum from the pores on your skin. Keeping your skin ready for the winter is not vain – it actually is needed! With the heaters running, the humidity in homes drop, so keeping your skin moisturized and removing dead skin cells will help you keep a natural glow, that isn’t just the wind burning your face! Mix all the ingredients in a bowl until well combined and scoop them into mason jars with lids. You can also package this in a Mason jar , include cute ribbon and you have the perfect homemade holiday presents ready to go! Cool tip: These will make great holiday gifts! Get bulk Mason jars , inexpensive holiday ribbons and ingredients and you’ll make 24 of these for just under $4 each! This looks amazing. Will definitely be trying it out and making a batch for family for Christmas. Oh my goodness this looks like such a great scrub and SUCH a fun project to DIY! I need to check this out and save it so I can try making it one of these days! This is such a great gift idea! Making it at home is so much better than buying it. You know exactly whats going into it and what to expect. Wow this is so cool! I love DIY’s and this would make for a great gift idea too! Sounds so fun to make also! My teen has been begging me to make a sugar scrub and now that I have the directions from your post and have some free time this weekend I think we are going to make some magic this saturday! In fact we might make a couple to give away as gifts! ThisThis sounds like something that would make a wonderful winter treat. Even the name makes on thing about being warm and loved. This time of year I love using scrubs to help my dry skin! Thank you so much for this great recipe! I bet this smells amazing! It would be perfect in tiny jars for fall wedding gifts! I’ve never made a sugar scrub before but I’d like to! This looks like it would make the perfect gift. I haven’t made any of my own beauty products before but this looks so easy to do. My daughter would love this as well. I love making my own sugar scrubs and giving them as gifts. They make my skin feel so smooth too. I love this diy sugar scrub.. Good moisturizer to maintain our skin healthy and smooth. This is an awesome idea! I know a friend who will surely love this! I love sugar scrubs. I made my first one not to long ago. This one sounds great too. I love the smell of pumpkin spice. This will make a great gift for my Daughter. She is really into skin care products. 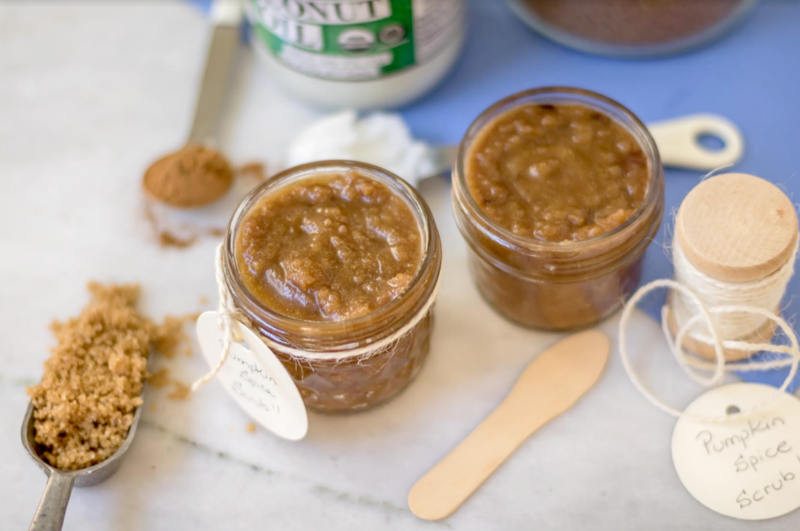 DIY Sugar Scrubs make a great gift. I like to find some really nice jars to keep it in. I love making DIY sugar scrubs. My skin feels amazing after I use them. 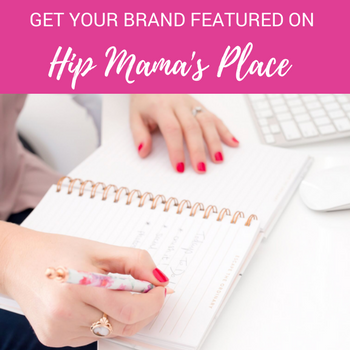 I have saved your recipe – and I was trying to find these smaller mason jars! 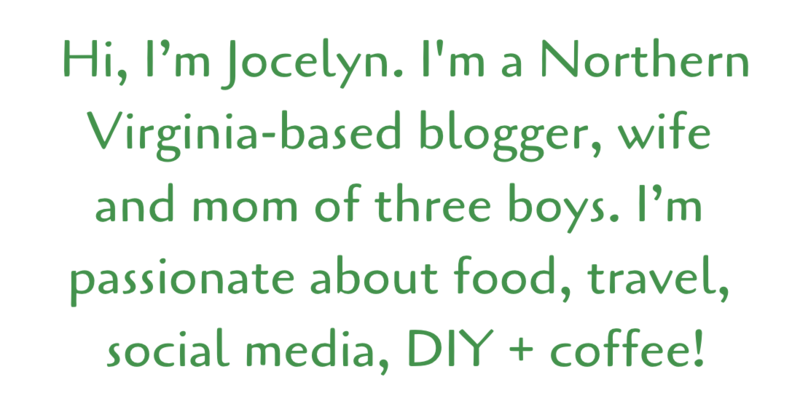 So this is very timely and fun – thank you! Sugar scrubs are a great way to get rid of all the dead skin. I bet this one smells amazing. I’ve never made my own sugar scrub but I can’t wait to try this. I looks great! I haven’t used a sugar scrub in so long! Pumpkin spice is my cup of tea… would totally use this. I’ve been wanting to make my own sugar scrub and this one sounds divine. I like that it also helps with clogged pores. I love home made sugar scrubs! I’ll have to try and make this! Thanks! This sounds like a really great sugar scrub. I love making beauty products like this at home. Well that looks Goodnuf to eat! I would love this because anything pumpkin is #1 in my book! I will definitely be trying this. I love the idea of making your own, especially for Christmas. I bet it smells really lush as well.